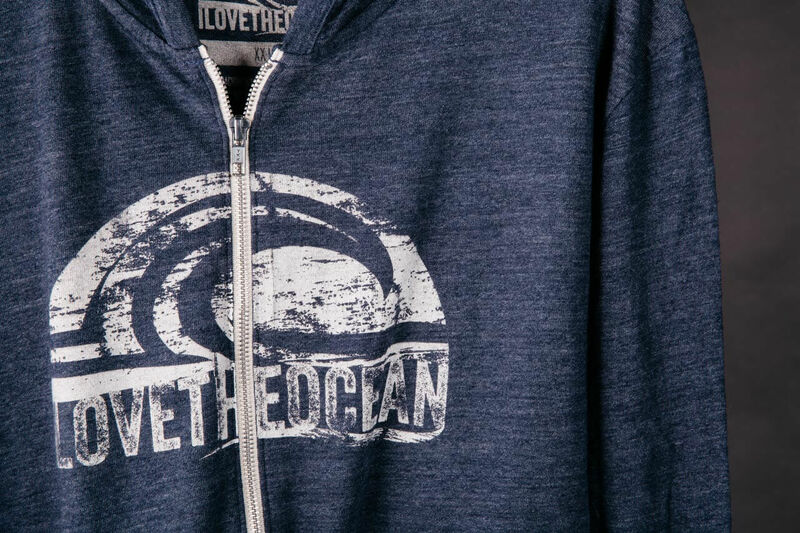 During the colder months of the year, it's time to trade in your tees for some cozy custom zip up hoodies. There are a number of manufacturers to choose from, but most styles come with either a flat front or contain a zipper. We print your hoodies the same way as your t-shirts. Hoodie printing and over-the-zipper printing are another one of our specialties. 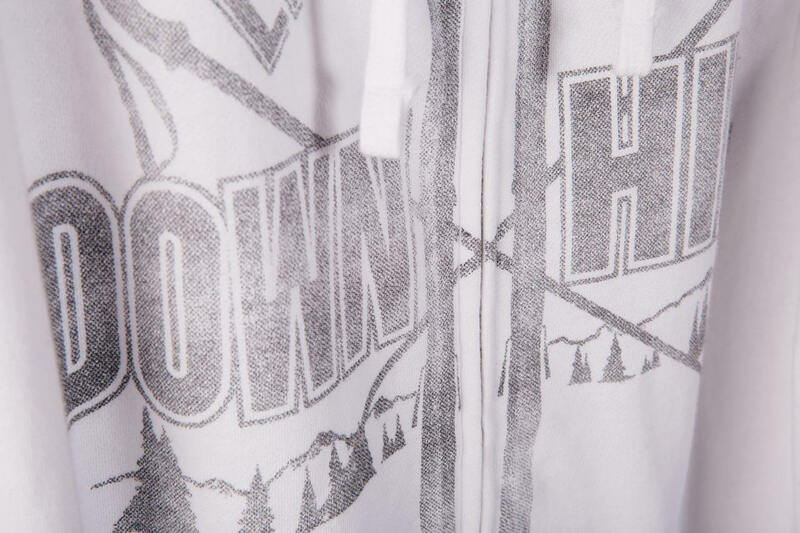 Because of the creases next to the zipper and the front pocket, water based and discharge ink is critical for cleaner hoodie printing and avoiding ink building up around the creases. When the custom zip up hoodies are placed on the pallet, the zipper and the pocket seams are not level with the rest of the garment. Due to these crevices created, the ink will not be distributed perfectly even as the squeegee runs down the garment and small print imperfections are to be expected when printing over a seam or zipper. Since print imperfections are to be expected, we always recommend designing custom zip up hoodies with a distressed pattern to achieve a more consistent overall look. Stay away from fine detail, such as sim process and blending, when printing over the zipper. 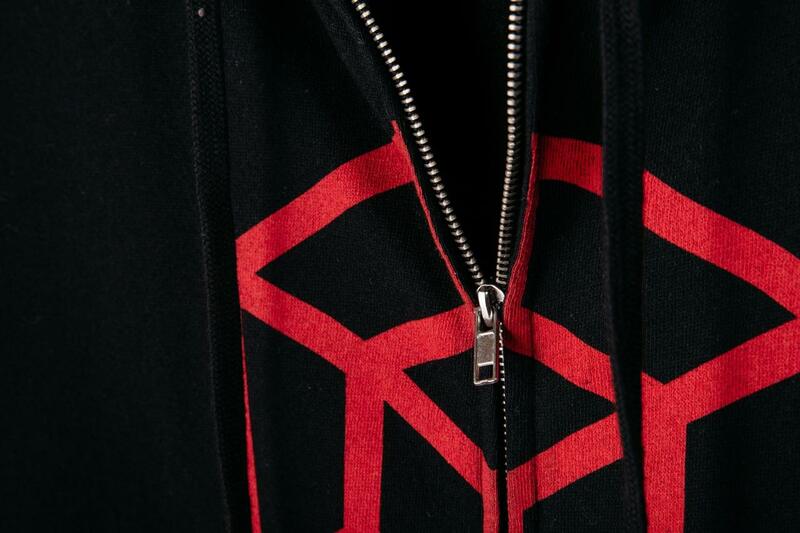 Blends: A lot of custom zip up hoodies are made from blended material. We recommend choosing something with a 100% cotton face for most prints, although some blended face fabrics will produce the look you’re trying to achieve. It just comes down to your desired result. Max Print Size: We can’t do hoodie printing for all-over designs because we are unable to tack them down to the pallets to execute a satisfactory print. 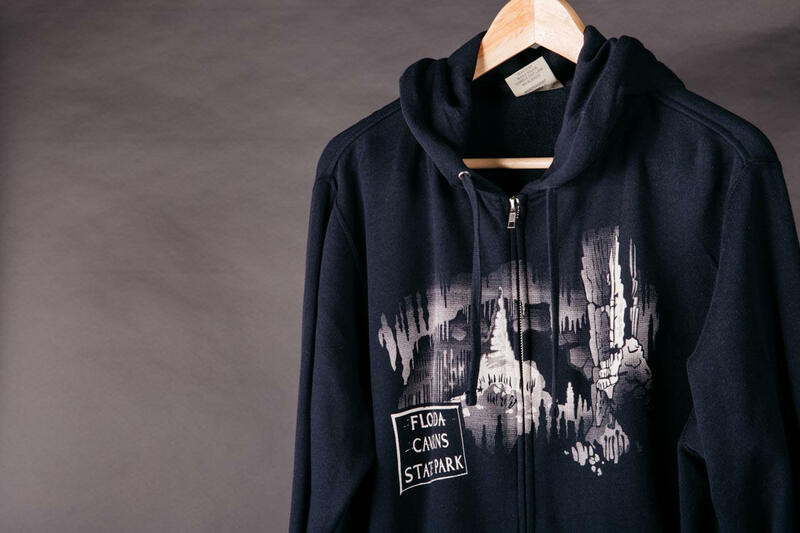 Because of this, the max print size for hoodie printing is our jumbo print option. Printing on the sleeves, back and top of hood are fully acceptable. Policies & Order Guidelines: When printing over the zipper and pocket seems, inconsistencies and/or distortion are considered acceptable. Goods with these inconsistencies will not be considered misprints. The setup is for our “smooth seam setup” process. It is not required but recommended on most prints.